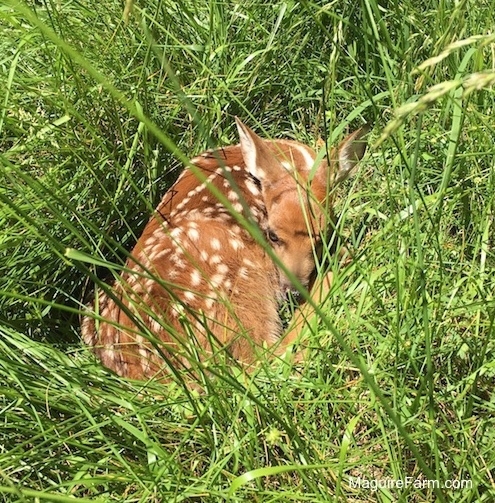 A baby deer (fawn) found sleeping in the tall grass of the goat feild. We walked away and left it alone. Her mother would be back for her. 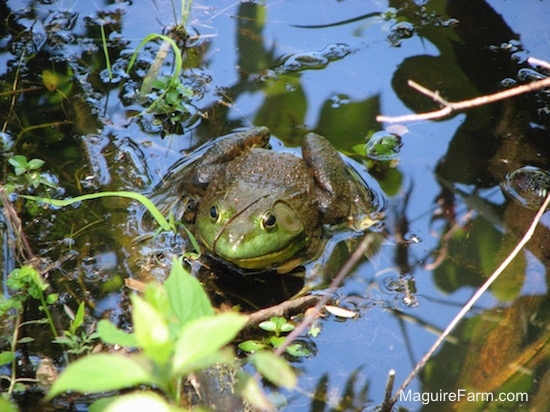 A bullfrog in the pond in the woods. Groundhogs coming out of their hole and seeing the camera for the first time. The groundhog stealing the camera and taking it down the hole. Notice the teeth at the end. Frog at the pond. Noisy little thing. Bird with a spider to feed its babies.